Outbound In-Line Systems with Conveyors, Diverters, CT-80, CT-80XL and Flat Plate Make-up Unit. Outbound Semi-Inline Systems with Conveyors and CT-80s. Outbound In-Line Systems with Conveyors, CT-80s and Slope Plate Make-up Units. Outbound Mini-inline System with Conveyors and CT-80. Inbound Flat Plate Claim Unit. 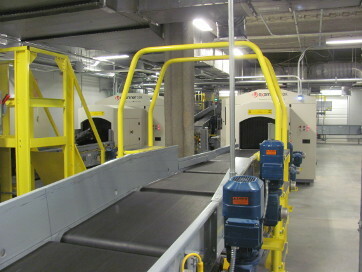 Outbound Baggage Handling System with Conveyors and Flat Plate Make-up unit. 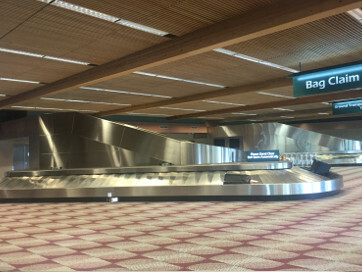 Outbound Baggage Handling System with Conveyors and Diverters. Demo Existing Inbound BHS with Conveyors and Slope Plate Claim Units. 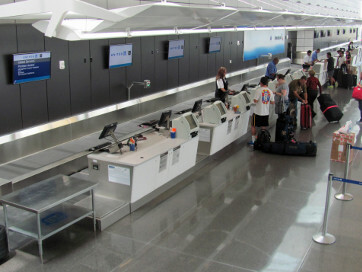 Curbside Check-in System with Conveyors and CT-80. Re-located Outbound BHS with Conveyors and Flat Plate Make-up Unit. 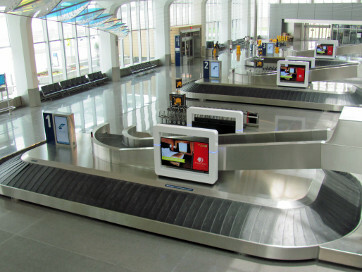 Outbound In-Line Systems with Conveyors and CT-80s. Outbound In-Line Systems with CT-80s, Conveyors, Diverters, Bag Dimensioners and Flat Plate Make-up Units. Outbound In-Line Systems with Conveyors, Diverters, CT-80 and CT-80XL. Outbound In-line BHS with L3-3DXs., Conveyors, Vertical Sorters, Diverters, Automatic Tag Readers & Bag Dimensioner and Slope Plate Make-up Units. 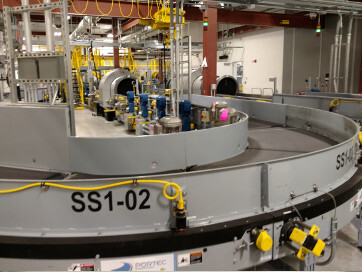 Inbound Systems with Conveyors and Slope Plate Claim Units. Outbound In-Line System with Conveyors and CT-80XL. Outbound BHS with Conveyors and Slope Plate Make-up Unit. Inbound Flat Plate Claim Units. Inbound BHS with Conveyors and Slope Plate Claim Units. Designed, Installed, Tested and Commissioned. Click on ASI logo on the map for more details. 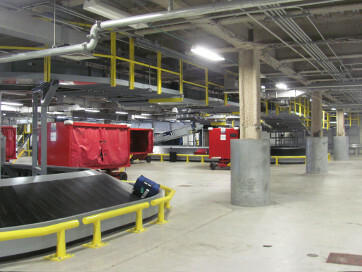 We will use our extensive project management capabilities with the support of our engineering and installation team to provide the highest quality, most reliable, turn-key baggage handling systems that meet our customers’ technical specifications and throughput requirements in a safe and cost effective manner.